Beirut (AFP) - The United States and Turkey are forging an alliance of convenience to deal with the Syrian crisis, cooperating to create a zone free of jihadists despite sharp disagreements over the role of Kurdish fighters. After months of criticism that it was not doing enough to fight jihadists from the Islamic State group, Turkey last month made an about-turn in its strategy that was hailed by Washington and NATO. 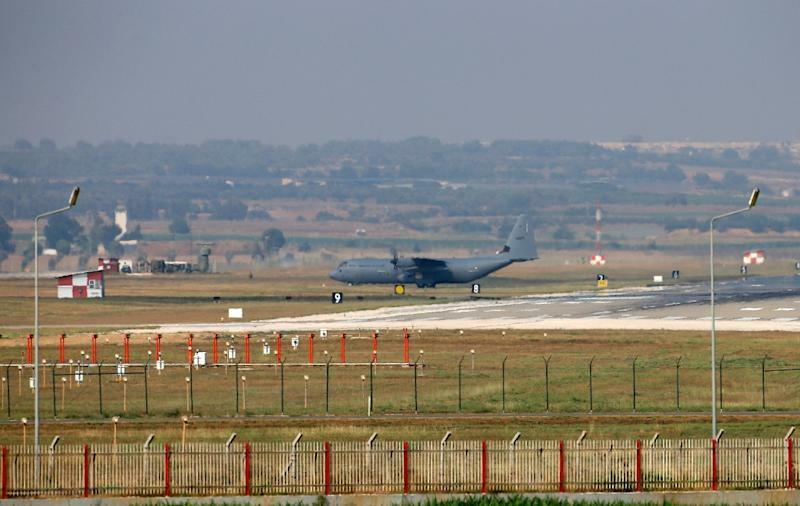 Ankara has opened its Incirlik airbase in southern Turkey to a US-led air coalition fighting IS, has carried out its own strikes against the group and arrested suspected IS members in Turkey. On Wednesday, an American drone conducted the first strike from Incirlik on IS in Syria, a Turkish official told AFP. Operations with manned planes are expected to start in the coming days. 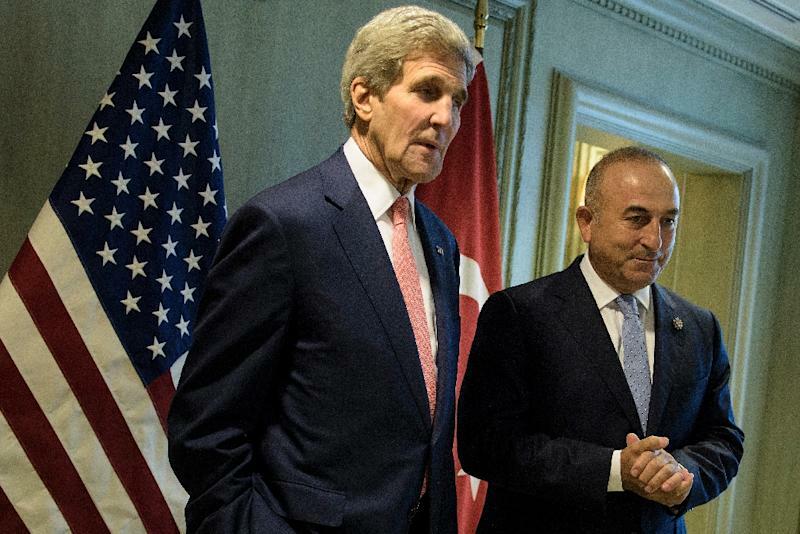 Turkish Foreign Minister Mevlut Cavusoglu said the arrival of Turkish fighter jets would launch a "comprehensive fight all together" between Washington and Ankara against IS. But experts say the alliance is fraught with potential contradictions, including Turkey's focus on targeting Kurdish forces and a US reluctance to ally with Islamist rebels. 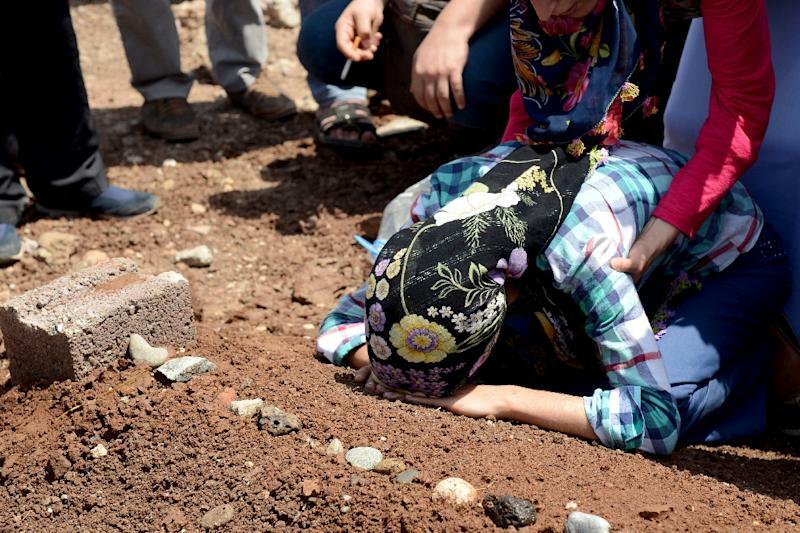 Most of Turkey's strikes in a broad "war on terror" until now have hit the Kurdistan Workers' Party (PKK), which has waged a decades-long insurgency in southeastern Turkey and has rear bases in northern Iraq. "In my view, the PKK and the Kurds is still more of an issue to Turkey than IS," said Charles Lister, a visiting fellow at the Brookings Doha Centre. Key to Ankara's concern is the rising profile of the Syrian Kurdish Democratic Union Party (PYD) and its armed wing, the People's Protection Units (YPG), which Turkey considers a branch of the PKK. The YPG, which ousted IS from the mainly Kurdish town of Kobane in January, has emerged as the most capable anti-IS force in Syria and a key ally of the US-led air campaign. "That deepening relationship between the United States and a Syrian Kurdish group that ultimately aims at creating an autonomous region in Syria really scared Turkey," said Henri Barkey, director of the Middle East programme at the Woodrow Wilson International Centre for Scholars. Turkey's nightmare is the creation of an autonomous Kurdish region in Syria -- known to Kurds as Rojava -- similar to the Kurdish region in northern Iraq. Turkey fears it would spur the separatist ambitions of Turkey's own Kurds. Ankara hopes that a key pillar of its new deal with Washington -- a 100-kilometre (60-mile) IS-free zone along Syria's border with Turkey -- will be secure enough to hold some of Turkey's 1.8 million Syrian refugees. Turkey's disaster management agency AFAD has indicated it would be ready to put up new refugee camps within 24 hours of the zone being established. But even more crucial for Ankara is that the zone would neatly block any Kurdish ambitions to fully control a swathe of Syrian land along the Turkish border from northern Iraq to the Mediterranean. "Turkey feared the creation of a Kurdish belt along its longest land border, which would have cut off its access to much of Syria," said Aaron Stein, a non-resident fellow at the Atlantic Council's Rafik Hariri Center for the Middle East. Turkey's President Recep Tayyip Erdogan has accused Syria's Kurds of trying "to form a corridor from the utmost east to the Mediterranean." Indicating that Ankara makes little distinction between IS and the PKK, he said "Turkey will not allow a game of good terrorist-bad terrorist. A terrorist is a terrorist." It also remains unclear exactly how the IS-free zone will be implemented and in particular which ground forces inside Syria will be used to ensure its security and drive out the jihadists. "This is the big question mark," Stein said. "It's unclear how the two parties will navigate this obvious problem." The YPG's Kurdish fighters appear off the table because of Turkey's objections, and Washington will have no desire to work with Islamist forces, meaning the US-led coalition will have to rely on Syrian Arab rebel forces. But so far less than 60 such rebels have graduated from a joint US-Turkish "train and equip" programme and the project appears to have ended in a debacle after several were kidnapped by Al-Qaeda affiliate Al-Nusra Front after entering Syria in mid-July. "Perhaps they could agree to protect the units that train and equip members embed with, most probably in and around Aleppo," said Stein.